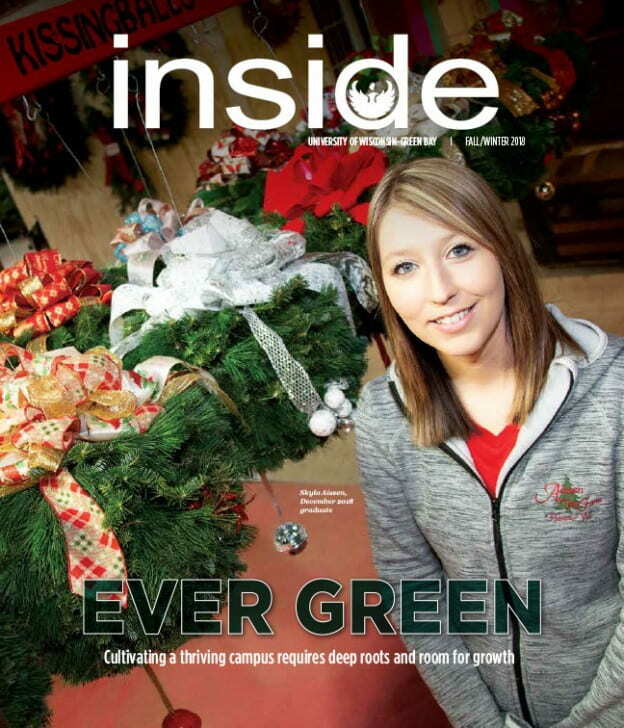 The Fall/Winter 2018 Issue of Inside Magazine is in mailboxes and available to you electronically. Partnerships, like that at Titletown Tech, energize the campus and the community. December 2018 graduate, Skyla Aissen, used her business acumen and hard work to graduate debt free. UW-Green Bay’s History teachers are recognized as the best in the State by the UW Regents. Crisis care workers can walk into precarious situations; many prepare through UW-Green Bay’s Behavioral Health Partnership. EMBI celebrates 10 years and 100 certified graduates in economics and ecology, like Kaity (Gilles) Lindner ’11, who influence their work places.